Babies and children bring with them a revolving door of “stuff.” So lucky for Manhattanites, NYC-based Little Swappies is hosting a clothing, book and toy swap, offering a perfect opportunity to spring clean your kiddo’s wardrobe, book shelves, and toy box to swap out the gently used and outgrown and make way for the “new” items you find at the swap! Get all the details after the jump! Bring a minimum of 8 pieces to swap in clothing sizes 0-6T, and toys and books for children ages 0-6 (see a list of recommended items to bring here) and leave with a bag full of items you choose. Additionally, children’s clothing label Polarn O. Pyret will be offering over 70% off pricing on their clothes — and Premier ticket holders will get two vouchers to exchange for brand new pieces from the Polarn O. Pyret collection. Parents are also welcome to bring their kids to the event, as Urbansitter will be on hand to babysit for free. There will also be free food and drinks, raffle prizes and gift bags. Any items that remain at the swap will be donated to Little Swappies’ charity partner Room to Grow, which aims to enrich the lives of babies born into poverty. TICKETS: Click here to purchase tickets. Children are free, General tickets are $20 in advance and $25 at the door, Premier tickets are $40. 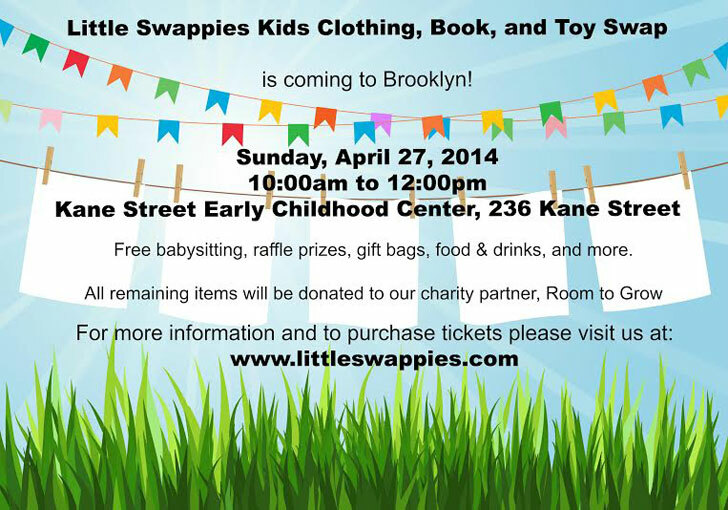 Stayed tuned to the Little Swappies website, as they are also hosting a swap on May 31st, 2014 in Manhattan and they plan to host events in Hoboken, Williamsburg, Cobble Hill, and Manhattan in the fall. Babies and children bring with them a revolving door of "stuff." 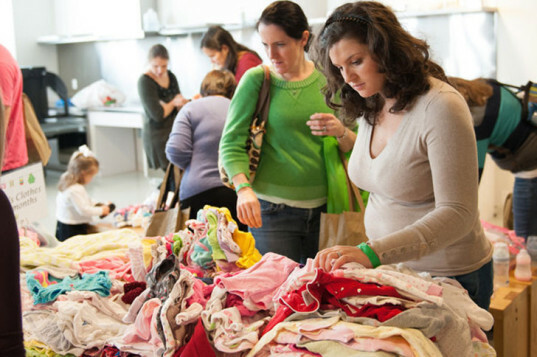 So lucky for Manhattanites, NYC-based Little Swappies is hosting a clothing, book and toy swap, offering a perfect opportunity to spring clean your kiddo's wardrobe, book shelves, and toy box to swap out the gently used and outgrown and make way for the "new" items you find at the swap! Get all the details after the jump!